My baby loves this formula and has been on it since birth she is currently 2 months. It doesn't make her constipated or have any problems. I think she loves it as well ! My daughter has tried different kinds of formula through Gerber. It's a very trusted brand. I haven't with through any other brand! She is my first child so I am kind of pricky when it comes down to taste. This formula is the only one that reminds me of coffee creamer! I even tricked my husband! I added to his coffee one day and he could not tell the difference! It helps her with her growth process, she is a chubby healthy baby! Thank you Gerber! Baby happily accepts his bottles. He doesn't get tummy aches often or seem uncomfortable, though he is a little gassy sometimes. This formula is affordable and good quality. 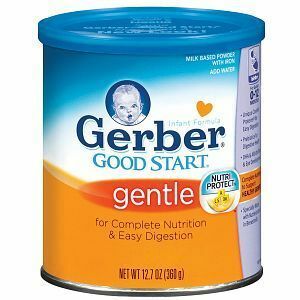 My daughter is seven weeks old, I tried breastfeeding but did not produce enough for her so I started using Gerber Gentle. She has been on this for about a month now, but we are considering switching to Gerber Soothe. She loves the taste of Gentle, but it gives her gas and quite a bit of constipation. I also have a hard time fully mixing it before she gets angry at me...my baby girl is serious about her meals. It breaks my heart to watch her struggle to #2, hopefully Soothe will help better her tummy. This formula was great for all of my children. They all started as enfamail babies and the enfamail was great but the price to keep the children on it was just way too much. With the Gerber it is more constant efficient. The Gerber gentle is also wic approved along with most of the other Gerber formulas which makes the formula even more cost effective for my child. The line also transfers to a toddler formula to prolong your child's health and nourishment with use of this formula. It is easy to use and mixes very quickly for the times than your little one is very impatient. I highly recommend this formula to any new mothers that are not sure of the formula line for their precious baby. 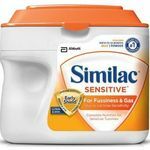 Tried several kinds of both Enfamil and Similac and both made my son fussy and constipated. 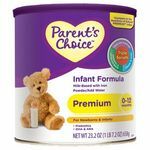 After doing some online research I picked up a can of this brand for supplemented babies and things were better within a few days. The fussiness and gas eased up tremendously and he started producing a regular dirty diaper at least once a day or every other day. Now hes no longer on supplementing just Gentle. Still working great. I was worried about switching again but hes made the transition wonderfully. Good formula but do they still make it? This was the first formula I ever used for my son because it is what WIC had.. my son did best with this formula. However one day they switched to Enfamil. I don't care for Enfamil. I don't find that my child digests it as easily as he did with Gerber. No stores even carry Gerber formula around here anymore. I would recommend Gerber over Enfamil anyday. Wic told me it was the same, but I don't feel that it is. We have a lot more spit up after we switched. His bowel movements became a little more difficult. he started out with breast milk and then switched to Gerber and it was an easy transition. But from Gerber to Enfamil, was not an easy transition. Even working at Walmart, I still get asked about this Formula and it's been gone from our store for over a year. Easily Digested I felt that my son had an easier time with Gerber. Ease of Preparation Very easy.. even though all formulas are basically the same preparation. Finally found one that baby can keep down! 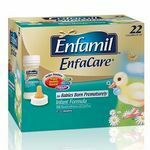 I have tried Similac, Enfamil, Gerber Soy and even a couple store brands with my daughter, and for a couple feedings or even a day or two those formula's would be okay and then I would notice that she couldn't keep them down, and wasn't tolerating them. In a somewhat frazzled state I grabbed a can of this to see if it would be any easier on her tummy and success it has! 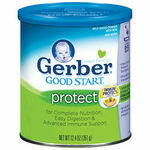 I noticed a difference just a day into feeding my one month old Gerber Good Start Gentle. She was having regular bowel movements again, she was eating more. And there was no more spit up. Coming from how she reacted to the other formulas, this was a vast improvement. This has been by far the best formula for her. She doesn't spit up hardly ever anymore, she eats her whole bottle. I would recommend this formula to parents who have babies with sensitive tummys. 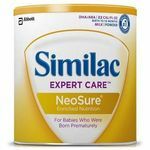 Easily Digested This has been the most easily digested formula for my newborn. It seems to keep her full longer as well.